For communities that want to crowdsource their future, but looking for interim steps to sweeping transformation, a national trend of pop-up placemaking is creating opportunities to preview forward-thinking visions on a more trial-like basis. We’ve been hearing much about pop-up retail, with aspiring entrepreneurs renting as-is vacant storefront space at significantly reduced month-to-month leases while the building owner seeks permanent tenants, and one such place in Grand Rapids, Michigan takes it a step further. MoDiv is a retail incubator that takes a permanent space of 55,000 square feet and divides it into nine pop-up retail spaces. 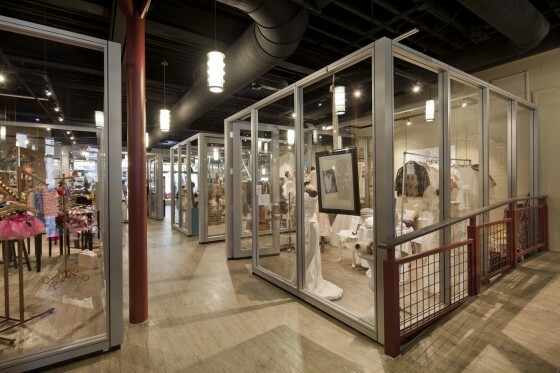 It’s designed as a hip, unique retail incubator in downtown Grand Rapids that houses nine unique retailers under one roof. The MoDiv motive is to encourage new retailers in the downtown market via providing a creative and entrepreneurial environment, offering flexible glass-wall spaces with what is described as surprisingly affordable, short term leases. Just as every city today has coworking spaces, look for retail incubator spaces to follow. Check out the video below that includes interviews with business owners, and more photos here.